The kids Institution in sponsorship of the Johanniter-Unfall-Hilfe e.V. was looking a long time for new play equipment, such as Gabriele Gabrys reported. The fundraiser took place on the occasion of the 20th anniversary of PPM e.V. in the fall of 2013. Instead of anniversary gifts, members and business partners donated the money and the research institution PPM e.V. faltered on the amount. 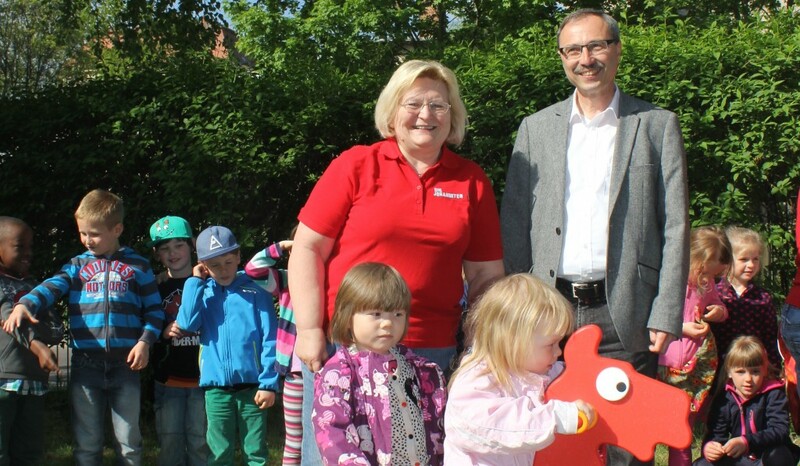 So at the beginning of the year the little horse was purchased to enhance the playground for the children. In this way, we would like to thank very much all our business partners, who made this donation possible. The handover of the play equipment was eagerly awaited by the children. They had especially rehearsed a song. After great applause the “red tape” finally was cut and the kids conquered the new rocking horse.